I got an email from Zillow last week. Seems my house has gone up in value another $2,000+ dollars in the past 30 days. And it’s going to rise another 3.5% in the next year, according to their Zestimate®. Fab! Except that it’s just speculation. When it comes to Zillow’s Zestimates, you have to take the numbers with a grain of salt. Make that a big shake of salt, right over your shoulder. And maybe a stiff drink. And a frank conversation with your real estate agent. Are faulty Zillow estimates irritating, dangerous, somewhere in the middle? It all depends on your personal situation. A real estate investor, a seller in a high-end neighborhood, or an obsessive real estate watcher (ahem) may be able to brush off a $15,000 error. But for many people across the country, the word of Zillow might as well be the word of God. So, yeah, dangerous. Errors in sales prices are one of the issues Investopedia pointed out in its look at Zillow’s Zestimates. In June, Zillow’s much-maligned (by industry experts, anyway) Zestimates got an upgrade with a new algorithm. Zillow CEO Spencer Rascoff has famously called his company’s price estimates, “a good starting point” and copped to a median error rate of approximately 8%. With their new algorithm, they say it’s dropped to 6.1%. 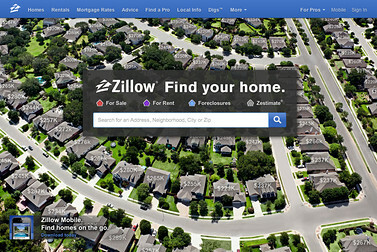 It gets even more complicated without all the data that gets fed into Zillow’s algorithm. Limit the available info and the margin for error grows. That same email I received included a couple of new listings and info on recent sold homes in the area. Notice anything interesting about these recent sales? Yep, no sales prices. Texas is one of about a dozen states without a mandatory price disclosure law, which makes property appraisals challenging and which makes it even more difficult for Zillow to come up with an accurate Zestimate since it eliminates one of their key data points. In the case of my home, they’re a good $11,000–15,000 high on their sales price estimate. And that’s based on my direct knowledge of sales prices in my neighborhood—not list prices, not tax assessments, and not assumed sales prices based on trends. Which brings up another issue that leads to inaccurate estimates. In many neighborhoods, sales trends and prices vary street to street. But Zillow’s estimates are a one-size-fits-all program. In my masterplan, the building of high-density units on the southern edge of the community a few years back took a bite out of the value of homes on the perimeter streets. Sales of homes with a first-floor master also get a bump here. And then there’s the fact that this community is also split between two elementary schools. Zillow wouldn’t know which one buyers prefer and wouldn’t account for a difference in sales price between two otherwise comparable homes. But, people who live here would, and so would the local real estate agents. Which only reinforces the importance of working with one, BTW.